Guru Randhawa ek Newly growing punjabi singer hai jinhone is saal punjabi aur Bollywood dono industry me succesfull rahe hai. Sirf gaane mein hi nhi ye Punjabi singer ab Indian television ke ek reality show mein judging bhi kar rahe hai. Bollywood ke aise bahut saare singer hai jinhone international atrists ke saath collab nhi kar paaye,lekin Guru Randhawa jo apne success period me chal rahe hai unko ye chance mil gayi hai. Guru Randhawa ab International artists jinko Mr. Worldwide naam se jaane jaate hai Pitbull , unke sath ek song me collab karne wale hai. Pitbull bahut hi popular singer hai aur unke naam ek Grammy award bhi hai . Grammy award wo hai jisko paane ke liye har ek singer sapne dekhte hai. 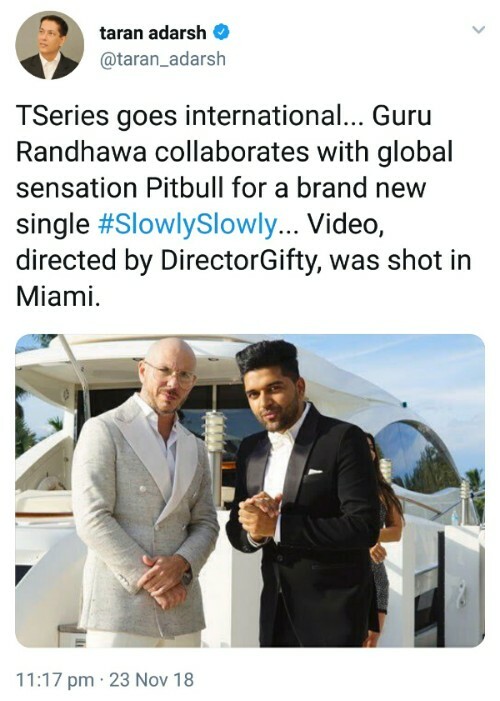 Tseries ke chairman Bhushan Kumar un dono ko saath me leke ek title song bannae wale hai aur us gaane ka naam hai "Slowly Slowly" . Ye gaana Miami ke Picturesque location me shoot hone wale hai jisko direct karenge DirectorGifty aur iska music produce karne wale hai most popular DJ Shadow Dubai, Redmoney, Blackout , Vee aur MKSHFT. "I am quite excited to collaborate with Pitbull and the song has turned out good. Pitbull’s contribution on the song adds a magical spin that gives it yet another International twist. It’s a huge step ahead in going global. This year has been phenomenal with Bhushan Ji’s support and T-Series becoming the most viewed channel in the world , I think this collaboration will set Indian music on global level. 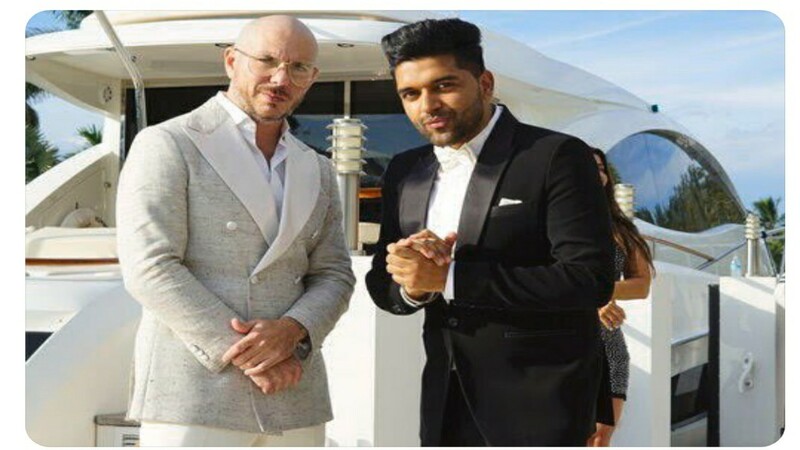 Guru Randhawa bahut hi excited hai is project ko lekar. Unke saath saath bollowood music industry aur unke fans bhi kaafi excited hai. Asha karte hai unke life mein aise hi success aate rahe.